In an effort to bring foreign capital into the United States, a number of energy executives are looking to export the majority of domestic oil and natural gas products overseas. However, many U.S. consumers disregarding the long-term benefits of such endeavors are more concerned with lowering gas prices. The country's miscellaneous corporations have mostly been on the receiving end of international commerce, viewing global sourcing as a means of obtaining cheaper goods. Of course, the latter strategy was based off customer desires, which are now shifting to domestic preferences. It seems as if U.S. export opportunities are growing. Dan Molinksi, contributor to The Wall Street Journal, wrote that an agreement has been reached between American officials to complete the Panama Canal by 2015, a $5.2 billion investment. Wider locks and waterways are anticipated to reshape the world's procurement process, as they will enable more flexible shipping routes and greater import and export opportunities between Pacific and Atlantic economies. As the U.S. utilizes the canal more than any other country, energy companies could capitalize on the expansion by streamlining the fossil fuel delivery process. The news source noted that the U.S. Energy Information Administration stated that the country's oil production grew by almost 1 million barrels a day in 2013, the highest production level in 25 years. Due to the fact that the agreement may result in lower fuel transportation costs, it is anticipated that many Asian countries will choose to outsource energy requirements to American producers. Many U.S. citizens aren't thrilled by the prospect of exporting oil that could be used to manufacture gas on-shore. According to The Journal Sentinel, a poll issued by Reuters and Ipsos showed that 77 percent of respondents would rather benefit from lower gas prices than ship fossil fuels overseas. When oil transportation does not hinder cost reduction at the pump, the majority of those surveyed generally supported delivering resources to other countries. Large oil producers argue that export restrictions will reduce the price of U.S. oil and fold output from new production hotspots in North Dakota and Texas. In contrast, refiners claim that overseas shipping would deplete cheap supplies and exponentially raise petroleum costs. It looks as if a comprehensive spend analysis of the industry will ultimately determine where these energy tycoons will choose to allocate resources. 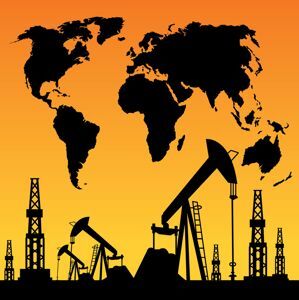 It is uncertain whether or not U.S. legislators will change the current policy restricting oil exports. Lobbyists and representatives from independent refiners and producers are currently participating in a tug-of-war match on Capitol Hill, with members of Congress as the rope.